Will you vote for Israeli Massacres? There was likely little chance of this motion succeeding. But, “no stone unturned” and “try as hard as I can” combined, is my modus operandi. Sometimes the amount of damage the ongoing stress has done to my nerves makes me want to give up, but we all know that giving up isn’t going to heal my nerves. Or, anyone’s nerves. Maybe, if the person can afford to go and forget it all on a sunny beach somewhere, but I can’t do that. I have to keep fighting to keep a roof, MY ROOF, over my head. 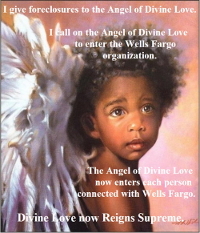 COMES NOW Defendant Karen Marie Kline and moves this honorable Court to issue an order excluding Wells Fargo Bank’s witnesses for Wells Fargo’s failure to comply with this Court’s Scheduling Order. On April 13, 2012, Holland and Hart filed Entry of appearance. 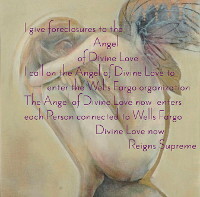 On June 13, 2012, Wells Fargo’s former counsel filed Motion to Withdraw. On July 2, 2012, I objected to Withdrawal. On December 27, 2012, Court Granted former counsel’s withdrawal. Case then fell dormant. For over two years after Wells Fargo’s new counsel entered appearance there was no prosecution; nothing until the Court’s July 8, 2014, Notice of Inactivity. Wells Fargo did not file an expert witness list on December 31, 2014, nor did it file a non-expert witness list on February 10, 2015 as required by the Scheduling Order. There was no telephonic conference. On March 27, 2015 Wells Fargo’s “Witness List” arrived by mail. Its Certificate of Service shows March 24, 2015 as day of mailing and is evidence of Wells Fargo failure to comply with Scheduling Order, Exhibit 1, page 3. The List does not say the witnesses are expert or non-expert. There is no curriculum vitae, summary of the opinions to be presented at trial or any written reports prepared by the witness, Exhibit 1, page 1-2. Despite being late, Wells Fargo names no witness other than me. 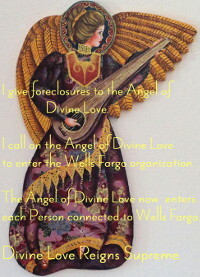 To be clear, Wells Fargo is not naming a witness when it says, “One or More Current or Former Employees And Corporate Representatives.” By not naming an actual person Wells Fargo denies me an opportunity to prepare questions for a particular witness and to depose the person. 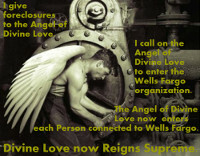 For the above reasons Wells Fargo’s witnesses should be excluded. “When a plaintiff in a civil action files a lawsuit, his adversaries are entitled to generally understand that he will proceed in a lawful manner and that compliance will be had with the Rules of Civil Procedure, including those relating to discovery.” Pizza Hut of Santa Fe, Inc. v. Branch, 89 N.M. 325, 326-27, 552 P.2d 227, 228-29 (Ct. App. 1976). “To enforce this, the rules permit a court to impose sanctions for failure to comply with discovery orders. See Rule 1-037(B), (D). Sanctions can vary in severity from fines, to orders precluding parties from establishing facts or pursuing claims or defenses, up to the most extreme remedies of dismissal or default judgment.” Ibid. New Mexico cases have treated lesser sanctions—including the exclusion of witnesses—as dismissals when their effect is to compel the dismissal of the case. See Allred, 1997-NMCA-070, ¶ 25… cf. State v. Harper, 2011-NMSC-044, ¶ 21, N.M., P.3d… Because the order excluding all expert witnesses in this case was the functional equivalent of dismissal, we treat it as a dismissal. An additional rule applies when the sanction is dismissal. Although discovery sanctions are reviewed for abuse of discretion, sanctions “entailing the denial of an opportunity for a hearing on the merits may only be imposed when the failure to comply is due to the willfulness, bad faith, or fault of the disobedient party.” United Nuclear Corp. v. General Atomic Co., 96 N.M. 155, 202, 629 P.2d 231, 278 (1980).” Ibid. “Sanctions are appropriate not only to achieve justice in this case, but to ensure the integrity of the discovery process in the future. See Lewis, 2001-NMSC-035, ¶ 24. Accordingly, we conclude that the district court did not abuse its discretion by excluding the experts.” Ibid. Wells Fargo’s witnesses should be excluded to achieve justice in this case and ensure the integrity of the discovery process in the future. See Lewis, 2001-NMSC-035. Also supporting exclusion of witnesses, even if that means dismissal, is D’Antonio v. Garcia, 2008-NMCA-139, 145 N.M. 95, 194 P.3d 126, which says that dismissal serves to protect a diligent party from continual delay and uncertainty as to his (or her) rights. “We agree with the underlying rationale of the district court’s conclusion that dismissals must only be ordered “sparingly.” Newsome v. Farer, 103 N.M. 415, 420, 708 P.2d 327, 332 (1985). We stress, however, that when a party willfully fails to comply with a court order, dismissal may be appropriate. Id. at 420-21, 708 P.2d at 332-33. Under such circumstances, we have stated that a dismissal serves to “protect a diligent party from continual delay and uncertainty as to his rights.” Kutz v. Indep. Publ’g Co., 101 N.M. 587, 589, 686 P.2d 277, 279 (Ct. App. 1984). Involuntary dismissal; effect thereof. For failure of the plaintiff to prosecute or to comply with these rules or any order of court, a defendant may move for dismissal of an action or of any claim against the defendant. New Mexico Supreme Court and federal courts agree, “The Court has the inherent power to impose a variety of sanctions on litigants in order to regulate its docket and promote judicial efficiency.” Martinez v. Internal Revenue Serv., 744 F.2d 71, 73 (10th Cir. 1984). CONCLUSION: Factors in this case weigh in favor of exclusion of Wells Fargo’s witnesses even if that means dismissal, See Defendant’s Motion for Summary Judgment re factors weighing in favor of dismissal. The degree of actual prejudice to Defendant is great – this case has been pending since 2008. Defendant has had to expend time and money in answering the compliant, making several attempts to contact Plaintiff about paying the mortgage after being qualified for HAMP loan modification and otherwise defending. When a party’s legitimate efforts are thwarted by the foreclosing party’s failures, to include following the Rules of Civil Procedure, actually prejudice arises. See, i.e., Atlas Resources, *50; E.E.O.C. v. Roswell Radio, Inc., 2007 WL 5685110, *13 (D.N.M. 2007) (unpublished). The amount of interference with the judicial process is significant, and the culpability of Plaintiff is clear. A lesser sanction than exclusion of witnesses would not be effective in this case. WHEREFORE Defendant moves the Court to dismiss with prejudice. I’m not going to put the exhibits on my site, merely to save time. Private property rights stripped away. Billions of dollars in assets transferred from individuals to large entities. And, it’s funded by the Mortgage Settlement that was supposed to help homeowners. Read more.